Far from a problem, refugees can and should be part of the solution to many of the challenges our societies confront. They bring hope: the hope of a better life and a better future for their children and ours. We invite all those downloading and using the guidance to please fill out this short anonymous survey. This will help us assess the usefulness of this guidance for field and policy practitioners; and provide opportunities for users to provide feedback that may inform future work on forced displacement and development co-operation at the OECD. In 2016, there were over 65.6 million people forcibly displaced globally. 84% of the world’s refugees were hosted in developing countries. The scale and nature of forced displacement has made it imperative that we ensure development planning and co-operation is more effective in countries of origin and asylum. ‌The work of the DAC Temporary Working Group (TWG) on Refugees and Migration built on existing good practices and learning from evaluations to develop “Addressing Forced Displacement through Development Planning and Co-operation: Guidance for Policy Makers and Practitioners.” The working group drew on expertise across the OECD and provided a forum for DAC members to: deepen their understanding of forced displacement; identify and address common challenges; collaborate, create and expandpartnerships; contribute to more inclusive, transparent and credible policy responses; and lead by example. In 2015, about 1.5 million people claimed asylum in OECD countries. Official Development Assistance (ODA) plays an important role in meeting the costs of providing temporary sustenance to asylum-seekers and refugees in these countries. Under the direction of the Statistics & Development Finance Division, clarifications to the Statistical Reporting Directives on in-donor country refugee costs have been developed to improve consistency of reporting across members, and support the compilation of more accurate and accessible data. Click here to see the latest figures on 2016 ODA. This report draws from the evaluation work of DAC members to strengthen the evidence base to improve future responses to refugee crises in developing countries. Including by bridging the gap between humanitarian and development programming, strengthening the international response to protracted crises,improving whole-of-government approaches in refugee contexts,learning from work in urban settings,improving access to employment and quality education for refugees and host communities,mobilising financing mechanisms for refugee crises in middle income countries,examining financing in response to the Syria crisis. 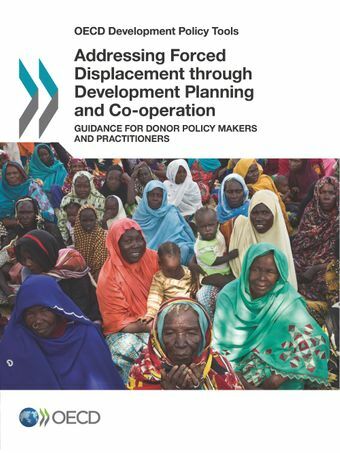 The evidence the evaluations outlined in this report feeds into the Guidance for Donor Policy Makers and Practitioners. Refugee Realities Exhibition: Click for more information about the photographs from Kenya and France. Summary note of Brown Bag Lunch with CSOs, 9 March 2017. Responding to Refugee Crises: What Can We Learn From Evaluations?